Has your jewellery lost its shine? Please print off our cleaning, polishing and replating form and send it back to us with the item you wish to be cleaned/polished/replated. The form will provide you with the correct address to send your ring back to, the best method for sending it back and all other information that you require in order to have your ring cleaned/polished/repaired. 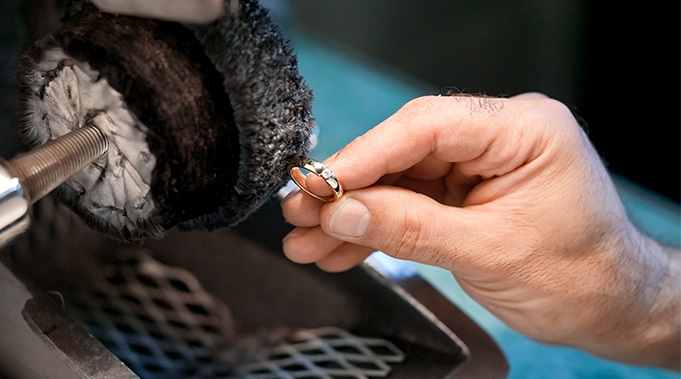 We only offer a polishing service for rings made by Purely Diamonds. Unfortunately we can't polish rings that we did not manufacture. Do I need to return my paperwork? Please just use the form provided and do not send your valuation document or any other certifications with the item. Please also ensure the item is secure in its original box if possible. Our cleaning/polishing/replating service usually takes approximately 2 working days to carry out. If you would like more information regarding turn-around time please contact us directly. Our cleaning and polishing services is priced at £35.00 with no additional charges for delivery (if applicable). Please see our Terms & Conditions before sending us an items.